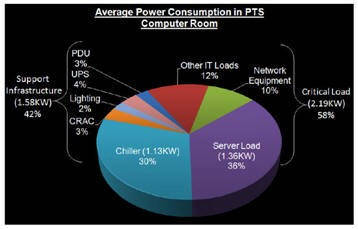 PTS’ Data Center Energy Usage Assessment Service provides data center operators with a spot measurement and calculation of the site’s power usage effectiveness (PUE) and data center efficiency (DCE) ratios. The goal of this service is to assess the power utilization of the data center operations as the first step in determining whether energy efficiency improvements are achievable. Fill out the form at right to request a copy of PTS’ Energy Usage Assessment Service Brochure.